The Regent is a great place for active students, or for anyone who wants to be right in the action of the popular Camp Randall area. Many of the apartments have been remodeled, and all of the apartments are fully furnished, and include a full kitchen and bath. There are multiple community areas throughout the property, including a computer center, game room, volleyball court, basketball court, reading rooms, community rooms, outdoor seating areas, and a fitness center. 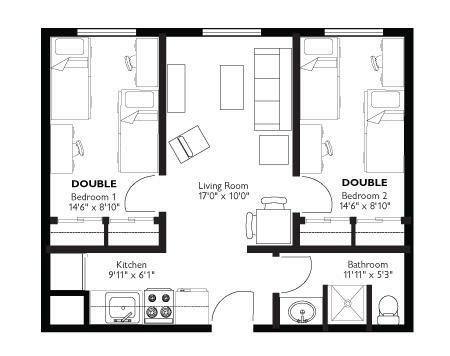 Our nine-month leases end when the school year does, with an option to stay for the summer. We offer roommate placement, plenty of fun resident events, community assistants to offer as little or as much support as you need, and individual, by-the-bed leases where you're only responsible for your rent.